What a relief! The church lectionary skips about ten chapters in the Book of Isaiah and we jump today to chapter 25, a wonderful pause from God’s apocalyptic threats. 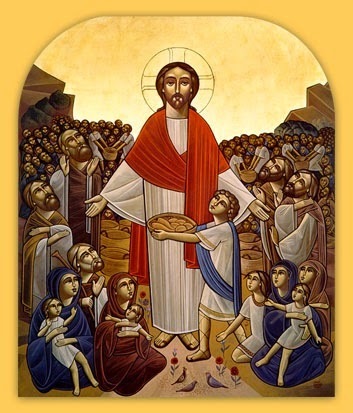 Here instead we find again the image of God as savior and provider for the poor and the suffering. It is the perfect companion to today’s reading in Genesis 9:8-17. 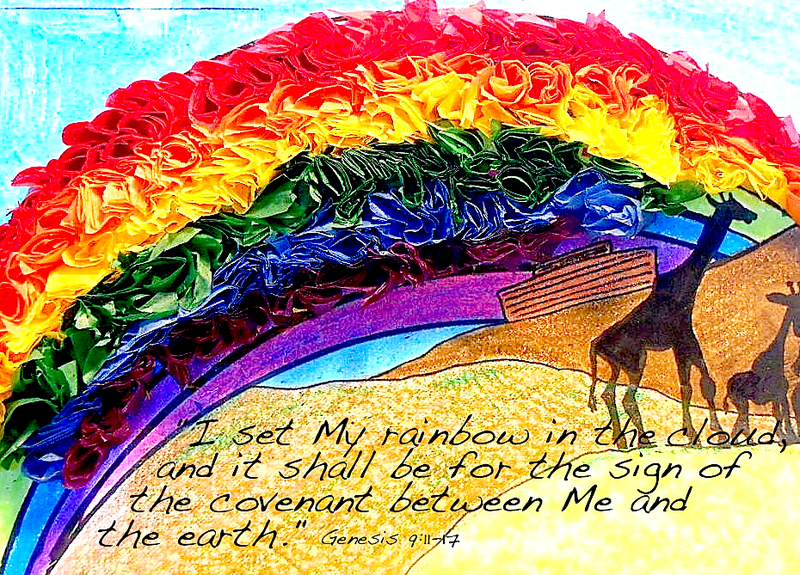 The Flood is followed by the rainbow as a covenant that God makes with the earth and all flesh. That covenant unfolds throughout the Hebrew and Christian scriptures, taking on deeper meaning at each turn. Indeed, one of the most rewarding studies that one can make of the scriptures is precisely to follow the evolution of God’s covenant with humanity and its culmination with the story of Jesus the Christ. But surely one of the most beautiful places to stop in any examination of God’s covenants is in our Isaiah reading for today, 25:1-9. “Behold, the dwelling of God is among men. From beginning to end, God does not cease to be creative; God does not cease to be ever and always ‘new’! Who knows what new things God will accomplish. Too bad for those people of faith who think that God is finished with us and all that remains is for us to “go home.” I’m not in a hurry to see the human race “go home.” This earth is too beautiful, the universe waits for us to discover it and travel in it. And closer to home – this home – God waits for us to eradicate poverty, to confront global climate change, and to ensure everyone has access to food and clean water, etc. Why is it that the people who wait for the “Rapture” or other tickets ‘home’ don’t seem to care about the problems of this world? Do they think that God will simply give us a free pass and allow us to destroy this planet with which he established an everlasting covenant and just take us ‘home’? No, our job is not finished and God is not finished. Yes, there is “a new heaven and a new earth” promised (Revelation 21:1), but that promise is not a permission for us to ignore this heaven and earth. Let’s not forget that the same book of Revelation rewards the prophets and saints “for destroying the destroyers of the earth” (Rev 11:18), and the earth itself saves the woman from the dragon in chapter 12 (verse 16). 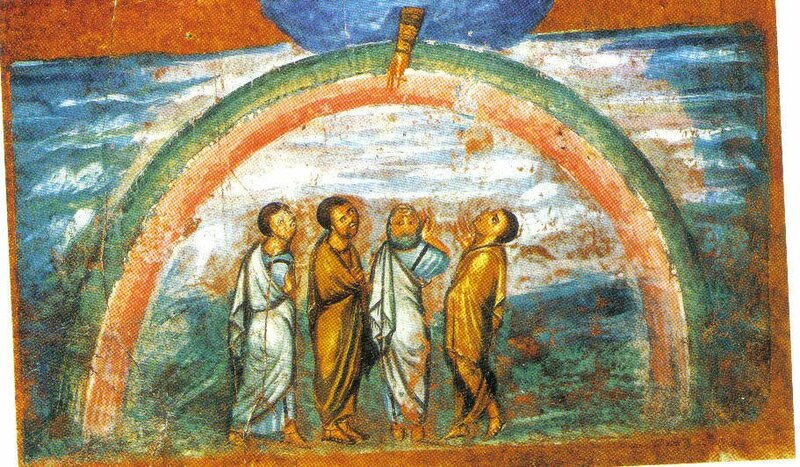 The rainbow is for all flesh upon the earth – this earth – and the “feast of rich food” of Isaiah 25 is right here; not the leftovers and the crumbs that we give to charity. “The shroud that is cast over all people, the sheet that is spread over all nations” – is there a better description for the gloom and doom that pervades so much of the news we get from all quarters of the globe every day? Don’t these words judge our own actions and inactions? Tell me in all honesty. Is there any excuse for Christians to support the policies of the market and the insatiable drive for profit that defines the movement of money, food and resources in our modern world? Why do so many Bible-believing Christians (as they claim to be) feel right at home in the gluttony and exploitation of contemporary capitalism? Forget they myth of the “Rapture”, dear brothers and sisters. Aim instead to avoid being “destroyers of the earth”! Our priorities should be the same as God’s priorities, especially as God revealed those priorities in the teaching and ministry of Jesus Christ. Through Jesus, God “will swallow up death forever” and “will wipe away the tears from all faces.” Yes, that is for God and God alone to do. We cannot eliminate death and it is impossible for us to wipe away all tears. But can we work to wipe away some of the tears that water this planet every day? The rainbow is for all. The covenant is not one-sided. We are coworkers with God (1 Corinthians 3:9). God will continue to do “a new thing” as long as there is life on this planet. Strive to be involved in the next “new thing” that God does. It could be something in your neighborhood. It could be something in the Middle East. It could be deep in your own heart. Hallelujah, for the Lord God reigneth! 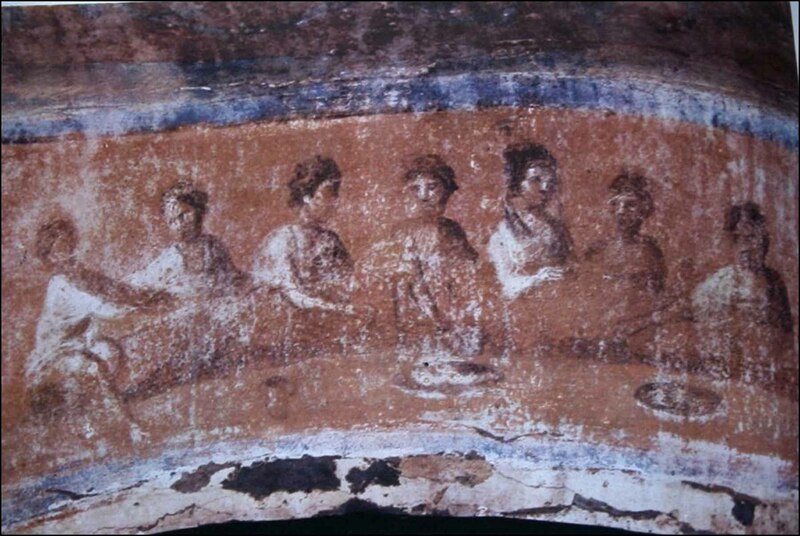 A common meal on the walls of the Catacombs of St. Priscilla in Rome (3rd century): A vision of the feast promised by God. May every eucharistic meeting in our churches be an image of this feast and its universal openness! Categories: Lenten Reflections | Tags: care of poor, covenant, coworkers with God, earth care, feeding the hungry, God's new thing, rainbow, the Rapture delusion | Permalink.